gorgeous assortment - which one will you choose? 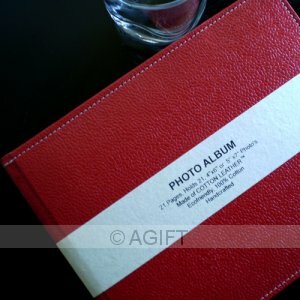 In an age of digital print, this stunning hand crafted red COTTON LEATHER photo album adds beauty to a coffee table or entrance foyer and shows off your professional folio or personal photo shots. 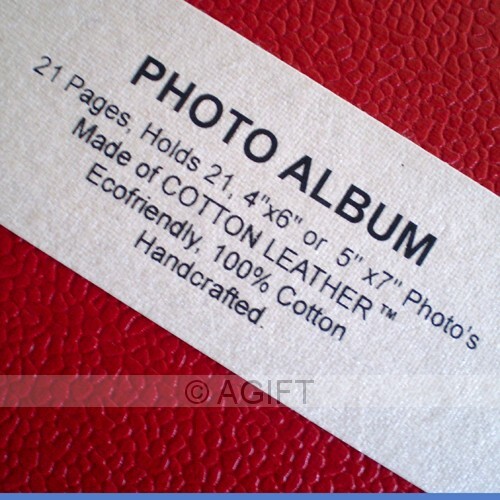 This product is 100% cotton eco friendly and is made from pulped cotton paper, finished to feel and look like leather. Purchase this product and leave a smaller carbon footprint!